In the past, I'd walk past a group of people and forget how to walk or if I was sitting anywhere but the back of class, it was uncomfortable because I hate people sitting behind me. All of these confidence issues stopped me from being happy. I decided to change it and these are the things I have noticed helped me be a happier person. It's not big headed or over-confident to love yourself. In fact, everyone should love themselves, it shouldn't be a snide remark or insult, it should be part of normality! I also realised I compared myself to every other person out there "Oh she's got a better camera than me, that's why her blog is better" "Kylie Jenner has nicer hair than me" "If I looked like that I could be like that" you get my drift... I'm so glad I stopped doing this and realised I can't change the way I look but I can work hard to get the things I want i.e that really cool camera I'm saving up for haha. I also used to be friends with people who constantly tried to put me down and when I spoke about something interesting I did, I didn't get a response. I shouldn't be afraid to tell one of my closest friends that I got a job or I went on holiday because they thought I was boasting. So them friendships stopped - yay! These aren't hard tips but they're ones that people forget about! Hopefully these will help! I'm thinking of making a list series on my blog because I write a lot! Let me know what you think! Don't forget I have a giveaway running and it ends this weekend! Check out my last post to enter. Confidence is really hard to build up - but so worth it if you can do it and become more positive and happier because of it. I'll definitely be trying, some of these tips are brilliant! This post is so beautiful! I think everyone should have this printed and framed to read before they leave the house every day! 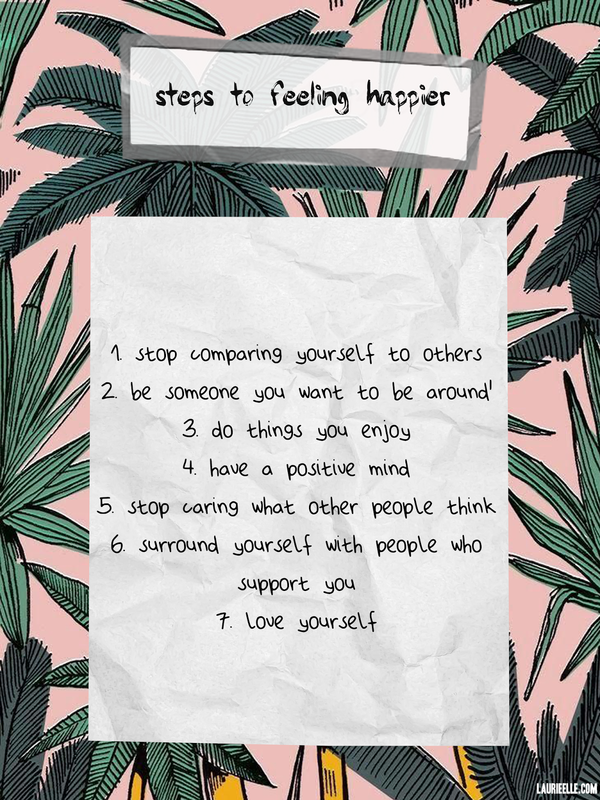 I love positive posts like this, love the tips, definitely something I need to read every day!